David Karp: The Mastermind behind Tumblr. Lerner Publishing, 2013. 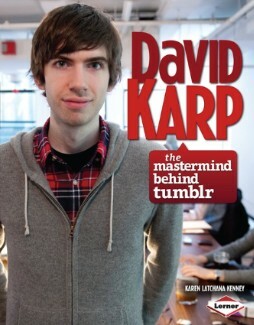 This biography tells the story of David Karp, the microblogging prodigy who created Tumblr.